Dermal fillers can be injected into forehead lines to reduce their appearance. We do not recommend dermal filler for most patients to reduce the forehead lines, as anti-wrinkle treatment alone can achieve this. In this article we will discuss how dermal filler works, how much fillers costs and who should have dermal filler treatment to reduce the forehead lines. Patients with a low brow or hooded eyelids who want to reduce the forehead lines but do not want a brow drop (see photo below). The example above shows a patient who has hooded eyelids and low brows. If we were to place anti-wrinkle treatment in her forehead (out of the photo) there is a high probability that the hooding on the eyelids would become more noticeable. This patient’s forehead lines would best be treated with dermal filler rather than anti-wrinkle injections. Dermal filler is made of hyaluronic acid, found naturally in the body. It is injected under the skin in areas where we want to reduce shadows or areas where we want to increase volume. Think of a deep line on the face and imagine it being like a valley, shown in the diagram below. We inject dermal filler under the river bed of the valley to fill in the valley and reduce the appearance of wrinkles. Dermal filler is well suited for deep lines in areas where we don’t want to affect muscle contraction. Anti-wrinkle injections reduce muscle contraction. They are injected under the skin and take a few days to exert their effect. Anti-wrinkle injections are best suited for people who have dynamic lines (lines when you move a muscle only) or faint lines at rest. Anti-wrinkle injections reduce the contraction of muscle and thereby reduce lines. Read our full guide to anti-wrinkle treatment at Cityskin here. When we treat the forehead lines in females we almost always treat the frown area (glabella) at the same time to prevent the eyebrows from feeling heavy or dropping in height. How much does forehead dermal filler cost? We tend to use approximately 1ml of dermal filler when we treat forehead lines. Have a read of our guide to treatment costs here. Where can I have forehead dermal filler treatment? Cityskin has expert practitioners working in Melbourne & Sydney. 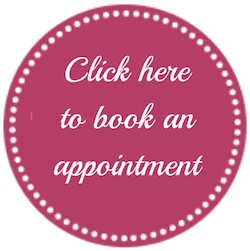 Book a free consultation using the button below for a consultation and treatment.